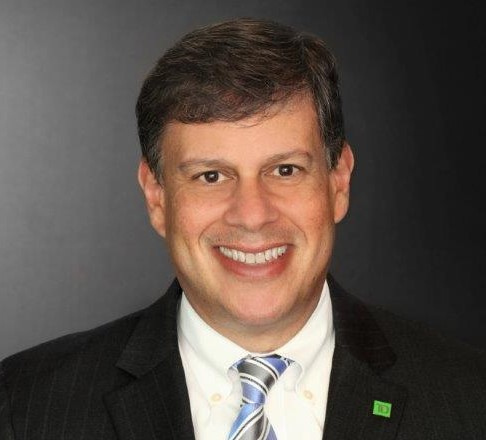 Ralph Bumbaca joined TD Bank in January 2010 and was recently named Market President, New York City. In this role, Ralph provides leadership for small business and commercial banking across the five boroughs. He has a dedicated staff of 17 bankers that oversee a large commercial banking portfolio comprised of a broad group of business owners throughout the New York Metropolitan area. Outside of banking, Ralph serves on several non-profit boards as a board trustee and/or treasurer for the: Frederick Foundation, Boys and Girls Club of Metro Queens, Business Initiative Corp of NYC, Rocklyn Asset Management, Manhattan Chamber of Commerce, Carroll Garden Association, and Rockville Centre Little League. Ralph also served for 10 years as a board member of Center for Family Support. Ralph has been the Bank's local United Way ambassador for the NYC market for several years and is currently a member of the United Way Tocqueville Society cabinet. At home in Rockville Centre, he has volunteered to support several youth sports programs including baseball, basketball, and soccer. His time coaching has been both an enriching and rewarding experience especially being a part of a Little League program for the Challenger Division that provides a fun and instructional baseball experience for children with development disabilities. Ralph is also active in local government serving on the Rockville Centre Citizens Budget Advisory committee. Through a successful banking career and the encouragement of the TD culture, Ralph has been able to assist and support the well-being of many citizens throughout the New York community. Ralph was born, raised and educated in Brooklyn and now resides in Rockville Centre, New York with his wife Ada and their children: Christopher, Matthew, Lauren, and William along with their dog Penny.